New book, 64 pages, FOR031. When the Romans first fought against Caledonii during the reign of Agricola (AD 77-84), Agricola established a frontier along the Gask Ridge. He also consolidated the Forth-Clyde isthmus, the location at which the Romans would later build the Antonine Wall from AD 138 to 143. The following 100 years saw a cycle of advance into and retreat from Scotland, until the Romans abandoned the Antonine Wall completely. 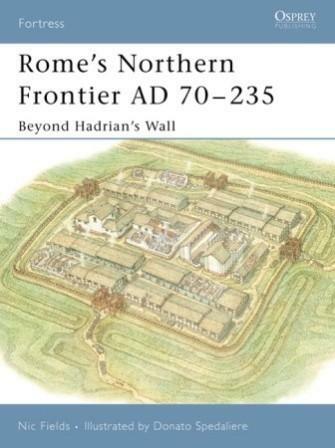 This book examines the Flavian, Antonine and Severan conquests of Scotland and the fortifications along Rome's northern frontier, and it explores the archaeological remains and places them in historical context.